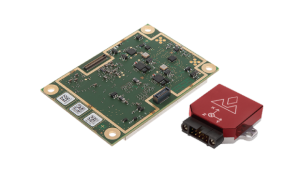 GNSS receiver manufacturer Septentrio has launched the next-generation AsteRx-i at the IEEE/ION Position Location and Navigation Symposium in Monterey, California. The AsteRx-i combines Septentrio’s latest compact, multi-frequency multi-constellation GNSS engine with an external industrial-grade MEMS-based inertial measurement unit (IMU). 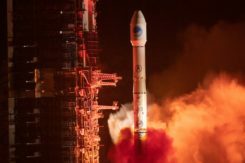 It can deliver accurate and reliable GNSS/IMU integrated positioning to the centimeter level as well as full 3D attitude at high update rates and low latency. Designed around demanding requirements for size, weight and power consumption, the AsteRx-i is suitable for optical inspection and photogrammetry. Accompanied by a UAS-tailored carrier board, the AsteRx-i integrates seamlessly into light UAVs. The versatility of design and range of connection interfaces extend the AsteRx-i applicability to automation and robotics and as well as logistics. 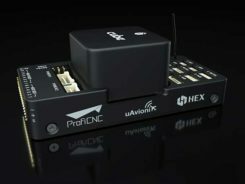 The AsteRx-i includes Septentrio’s GNSS+ suite of positioning algorithms to convert difficult environments into good positioning: LOCK+ technology to maintain tracking during heavy vibration, APME+ to combat multipath and IONO+ technology to ensure continued position accuracy during periods of elevated ionospheric activity. It also features AIM+ interference mitigation and monitoring system which can suppress the widest variety of interferers, from simple continuous narrowband signals to the most complex wideband and pulsed jammers.